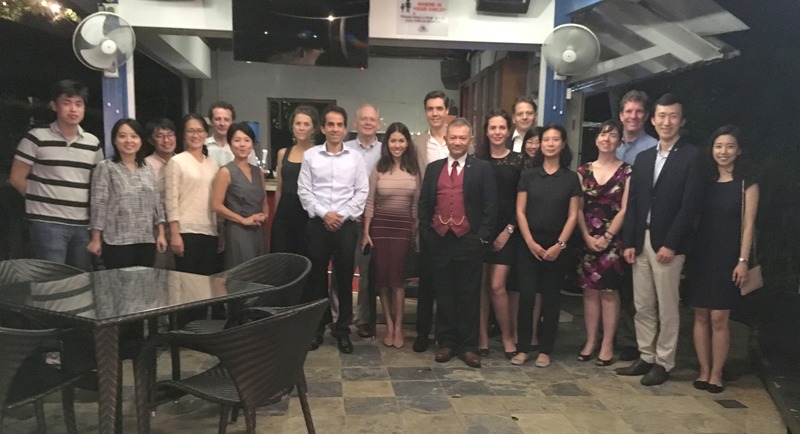 Linacre is grateful to Dr John Cole (2006) and Mr Mehdi Chennoufi (2000) for arranging an Old Member event in Singapore at the Swiss Club. You are invited to hear a talk by Dr Joel Scriven (2007) on sustainable land use and carbon sequestration. This will be followed by dinner. The cost of the dinner is generously being sponsored by a Linacre Old Member in Singapore. Partners are included in this wonderful invitation. It is essential to book your place for the evening of Friday 16th March with John Cole by 8th March. Background information on Dr Scriven and his talk may be found on this page.